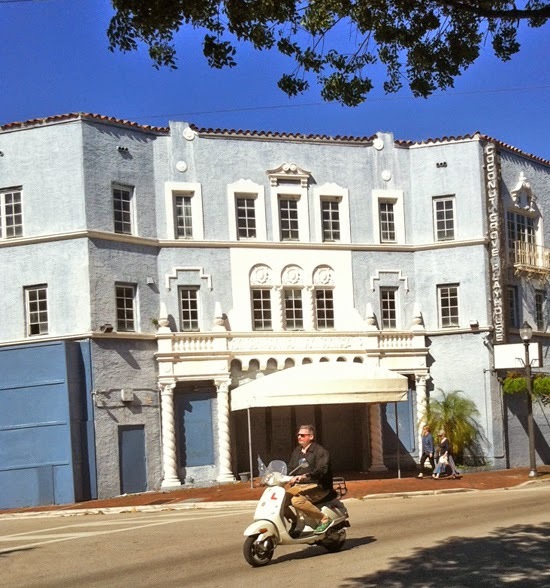 The Miami Herald is reporting that Miami-Dade commissioners unanimously approved the Coconut Grove Playhouse plan to have GableStage run a 300 seat theater. Many are unhappy with the decision as they feel that 300 seats is not enough to keep the Playhouse afloat and that a second plan, with a second larger theater was the way to go. There was talk of Kevin Spacey being involved with the larger theater. Arquitectonica was also approved to create the master plan for the state-owned property. They were asked to explore the possibility of adding the second 700-seat theater, so all may not be lost. Those in favor of the larger theater option, without GableStage's involvement, were not allowed to speak at the commission meeting. No one was really except for Joe Adler who spoke for a couple of minutes. The commissioners did not discuss much and they apparently had their decision made long before Tuesday's meeting. The whole "discussion" was about five minutes or less. This is the first step in a long process of bringing the playhouse back to life. Director Joe Adler of GableStage sent out a letter to patrons earlier this week, practically begging for the job. Well, he got it. Here is Doug Hanks' report in the Herald.